positioning you cannot miss! Also, do not forget to put the electrical conduits in place! GatEase! - Manage your GATE with EASE! More than a slogan - Not just a name - a concept! 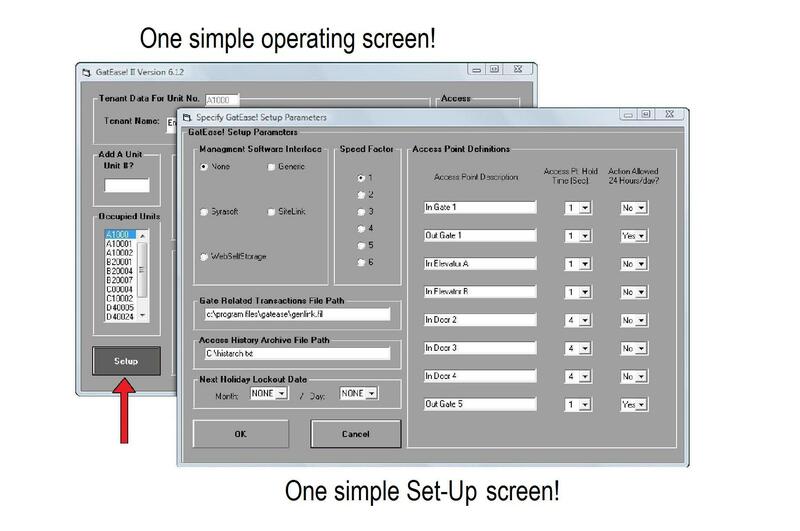 Gatease software controls your gate on your PC - Access your PC - access your gate! Developed by a self storage owner/operator for self storage facilities, the Alltec Access Control system with Gatease software was designed to be simple to install and simple to use. 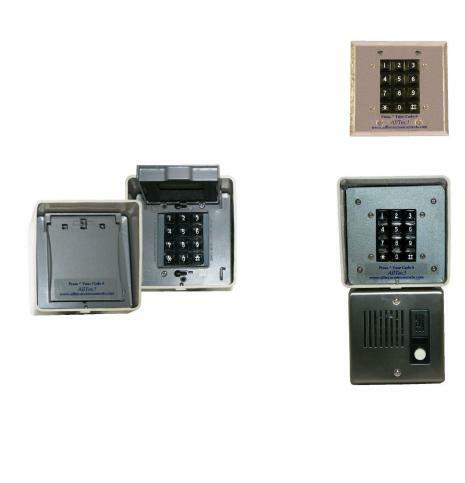 The system will operate up to eight gates and keypads to control access to any size facility. In fact, Gatease software gives you an unlimited number of units and access codes for your facility. E-mail us at info@alltecgates.com to request an installation overview or demo CD to show how easy installing and operating the system can be! Lifetime warranty that includes lightning damage! Access Codes up to eight digits long! Do it yourself or professional installation! Choose the right Keypad for the job! Flush Mount Indoors or Out! Same Industry Leading Warranty! Same Exceptional Support!